The Dorset Rate payers voted for 8 Dorset MPs and numerous councillors. would you like to be hung by? If you wish to Lobby Polititians in Dorset may we suggest some of these contact addresses and numbers (Good Luck). If you wish to see how some of these people deal with being lobbyed, see lower down the page. This was reported to Michael Howard in 1996, he ignored it! A lady that monitors this website wrote to him in 2004 and 2005 asking him why he ignored the misconduct when he was home seceratary. 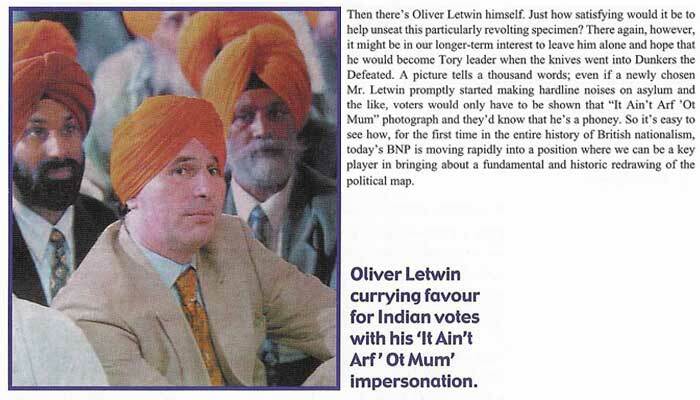 FORMER SHADOW HOME SECERATARY OLIVER LETWIN - MP FOR WEST DORSET. A Gentleman from Wales contacted us after seeing this site, as it confirmed his beliefs. THE THREE STOOGES! Oliver Letwin and Jim Knight both have their mutual Backscratching with Dorset Police we now see Ian Bruce still having his Two Pennith on the Bandwagon with them. Is this The Pot Calling the Kettle Black? These two clowns Jim Knight and Oliver Letwin know about this site. We see in this article Letwin addressing the Police Federation. He must have been Drinking when he made his comments, if not then he obviously did not read the letters sent to him, where London Lawyers set out Criminal Allegations against Senior Dorset Police Officers under the 1996 Police Act which superseeded P.A.C.E. Not only did Letwin ignore the criminal offences, he has the nerve to tell these coppers that he is going to tear up P.A.C.E. What a Prat! Dont quote the law to Coppers, unless you are quoting Police Misconduct. Coppers know that P.A.C.E. was superseeded by the 1996 Police Act, and the Crime and Disorder Act. However the wording of certain sections of P.A.C.E. are now re-phrased in the current acts. should have the oppertunity to take legal or other action against two gentlemen. The only action one can take is that which is legal, and falls within the law. is keen that legal or other action be taken against two gentlemen. misconduct from Senior Police Officers, when it is detailed to him by London Lawyers. it was a case of would you like to be hung by the center just for a change?